La France remporte l’or dans 4 des 6 épreuves individuelles au programme des Championnats d’Europe Juniors 2018 à Malte. 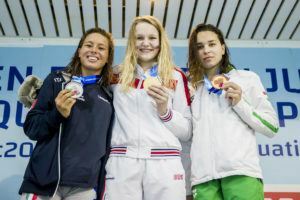 Anastasia Sorokina (middle) broke a 34-year old Russian Junior girls’ record in swimming. Hungary’s teen phenom Ajna Kesely continued to shine yesterday with her third victory in the women’s events. Kesely won the 400m freestyle in a time of 4:05.89, crushing her own CR mark of 4:08.10 from 2016. Kesely was back in the water and set the pace in today’s preliminaries of the women’s 200m freestyle. She grabbed the top spot for the semi-finals with a time of 2:00,38. 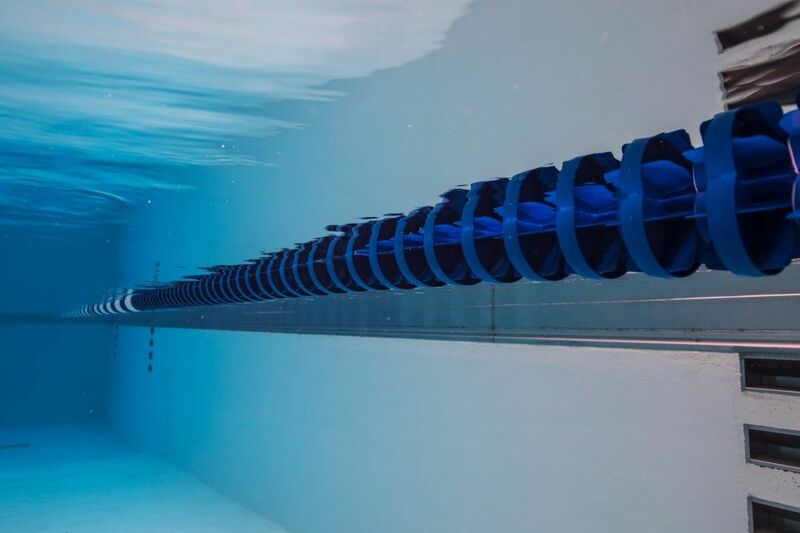 Kesely is able to perform “Ledecky-like” on the European youth level. She already grabbed the gold medals in the 800m freestyle (day 1), 400 IM (day 1), and 400m freestyle (day 2), and will have two more chances in the coming days in tonight’s 1500m freestyle final and tomorrow’s 200m freestyle finale. Russia’s Daria Vaskina showed a good morning speed in the 50m breaststroke. She led the field into tonight’s semifinal with a time of 28,39. Vaskina’s own European Junior record stands at 28,08. 200m backstroke Junior World record holder (1:55,14) Kliment Kolesnikov (RUS) took it easy in his preliminary race, finishing second in 1:59,96. Daniel-Cristian Martin (ROU) led the field into the semi-finals, he was clocked at 1:59,76. Kolesnikov and Martin shared the victory in the 100m backstroke, they both finished in 53,52 yesterday evening. Emily Large (GBR) was the only woman sub 1 minute in the 100m butterfly. 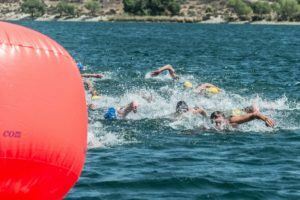 She grabbed the top spot with a time of 59,54, nearly one second slower than her personal-best time. The Russian men set again a top relay time. They touched the wall with the fastest time in the 4x200m freestyle relay (7:23,23) ahead of Israel (7:23,64). Andre Grindheim (NOR) came in first in the men’s 50m breaststroke in 28,31. This is a new personal-best time and his first perfomance under 29 seconds. 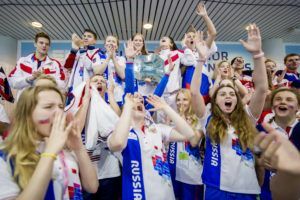 Russia posted the top time in the women’s 4x100m Medley relay in 4:06,07.